Boy, have I been busy lately! As I said in last week’s blog, I finished writing Eternal. Not that it means I’m totally done with the book. 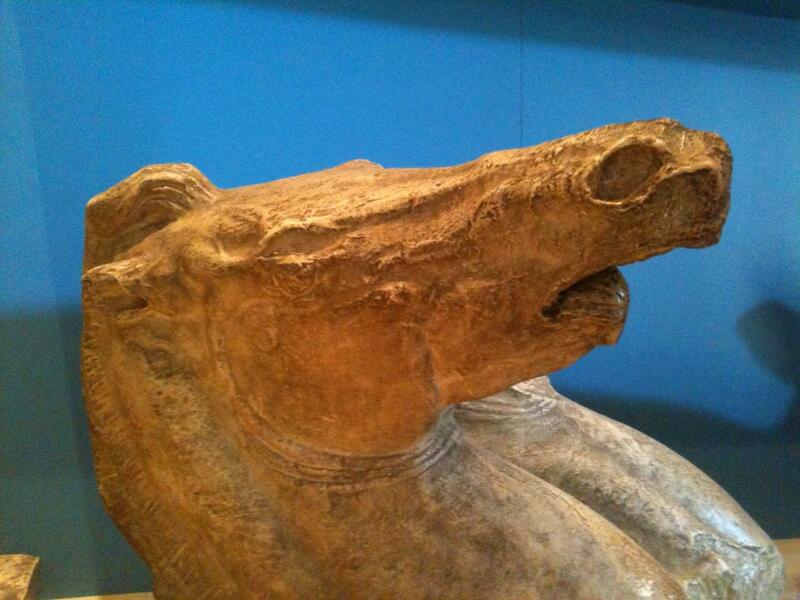 I’m now doing copy edits. (Don’t ask!) On top of that, I squeezed in a trip to Nashville, Tennessee for a conference. And I have to say, I had a great time. 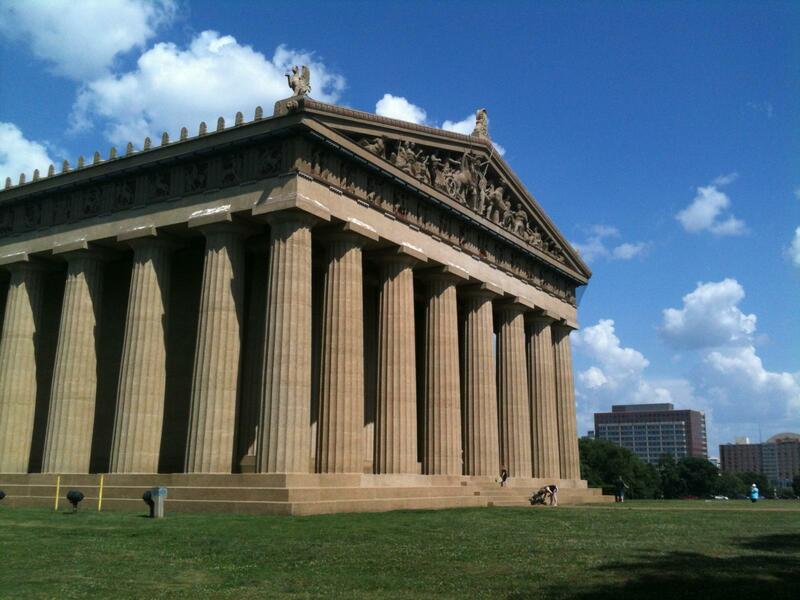 Did you know Nashville has a full size replica of the Parthenon in Athens? 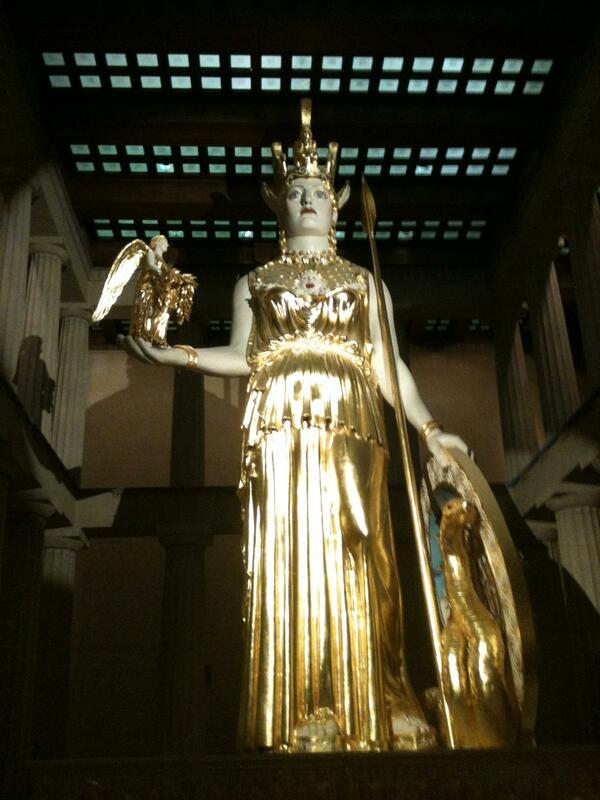 It was built in 1897 as part of the Tennessee Centennial Exposition. It was so cool I thought I’d share a few of my photos. The golden statue of Athena is what they thought the original statue (long since gone) looked like. She was really tall, but I guess if you are a Greek God, you would be pretty tall–or at least that’s how the mere mortals would portray you. 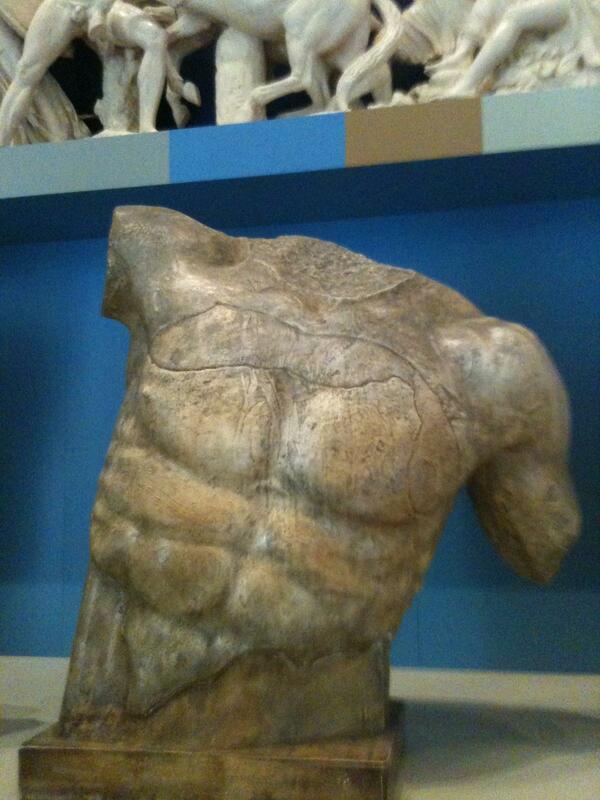 And the torso with the six pack? Can’t you totally see that as Lucas? Or maybe Burnett? This Friday, June 27th, I’ll be teaching a class at the Barbara Bush Library in Spring Texas. I’m teaching a Teen Writing Workshop from 11:00 AM till 12:30 PM. I’ll be giving tips on writing, how to plot, how to create memorable characters and how to make your book a page turner. So, if you are an aspiring author, live in the Houston, Texas area and are a student in grades 6th-12th, you won’t want to miss this. Follow the link for the Teen Writing Shop to register. I hope to see you there! We have a winner from last week’s giveaway of an ARC of Reborn! There were a lot of great comments and the winner is Jessica Kilgore. Please email your address to cc@cchunterbooks.com. Congratulations! It’s summer. I’m all set for a vacation. We’re thinking maybe taking a trip to California. Why the vacation? Well, I’m celebrating. You see, it’s done. It’s done. Eternal is finally done. And let’s just say if you enjoyed Reborn, you are going to love Eternal. We have Steve. We have Chase. We have a mystery and even a lot more action. Della has to kick some . . . you know what. She’s such a fun character to write. I tell you, sometimes I wish I was more like Della. I think everyone could use some Dellatude. 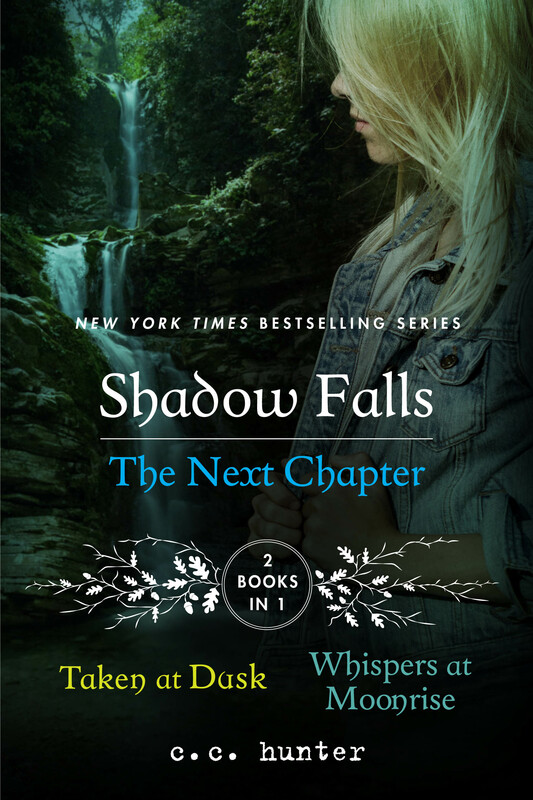 Oh…and while I don’t’ have a date, I can whisper that you guys might get another novella soon. Let’s just say the novella had me crying. So check back in here for more details and to hear publishing dates. 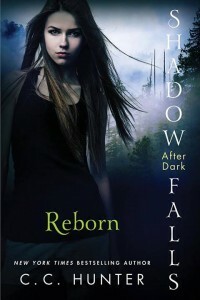 Today, I’ll give away an ARC of Reborn. So make sure you leave a comment and tell me what you are doing this summer. Or tell me what book you are reading and you’ll be entered to win a signed ARC of Reborn. There were so many great comments last week. 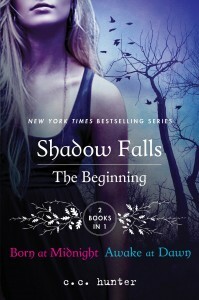 And the winner of the Shadow Falls: After Dark t-shirt is Murrissia. Congratulations! Please send your mailing address and t-shirt size to cc@cchunterbooks.com. I love good news. Don’t you? Well, this week my editor had some wonderful news for me. She sent me this cover. I love it. What do you guys think? 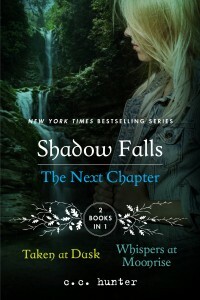 Titled Shadow Falls: The Next Chapter, this is Taken at Dusk and Whispers at Moonrise in one book. And like the first two-books-in-one it will be sold at the bargain price of $9.99. You’ll be able to pre-order it soon at Amazon and Barnes & Noble, and it will be out on October 28, 2014. 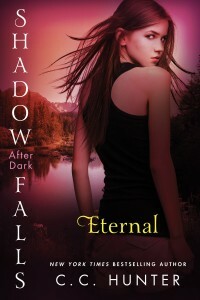 Yes, that’s right, the same day Eternal, Della’s second book in the Shadow Falls: After Dark series, is released! And don’t forget you can still order Shadow Falls: The Beginning. That is Born at Midnight and Awake at Dawn in one book. I had such a wonderful time on Sunday at Katy Budget Books. I was there with two other great YA authors, Joy Preble and Sophie Jordan. I loved meeting everyone and the staff at KBB was amazing. If you weren’t able to attend and live in the Houston, Texas area, you’ll have another chance to join me on June 14th. Barnes & Noble in Pasadena, Texas is hosting the Very Paranormal Book Rave on June 14th, 4:00-6:00 PM. I’ll be there with many other fabulous YA authors. It was so great to have Micah Caida as my special guest last week. So many of you had great comments about why you’d want to go to the future or to the past. Thanks Micah for giving away a set of your Red Moon Trilogy. The winner is Lucy B. Congratulations! Please send your mailing address to cc@cchunterbooks.com.